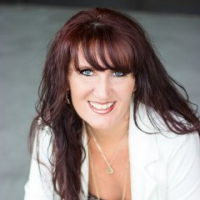 Author Tish Thawer writes paranormal romances for all ages. From her first paranormal cartoon, Isis, to the Twilight phenomenon, myth, magic, and superpowers have always held a special place in her heart. 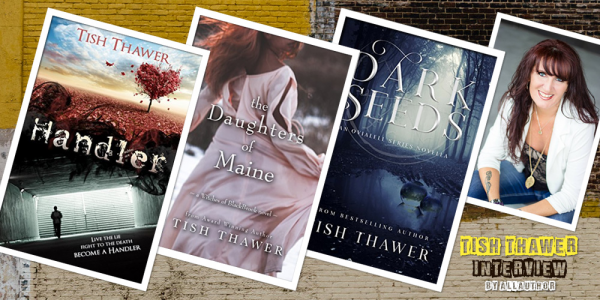 Best known for her Witches of BlackBrook series, Tish’s detailed world-building and magic-laced stories have been compared to Nora Roberts, Sam Cheever, and Charlaine Harris. Tish's books have been featured in British Glamour and Elle Magazines. Tish has worked as a computer consultant, photographer, and graphic designer, and has bylines as a columnist for Gliterary Girl media, RT Magazine, and Literary Lunes Magazine. She currently resides in Arizona with her husband and three wonderful children, and operates Amber Leaf Designs, an online custom swag retail store.